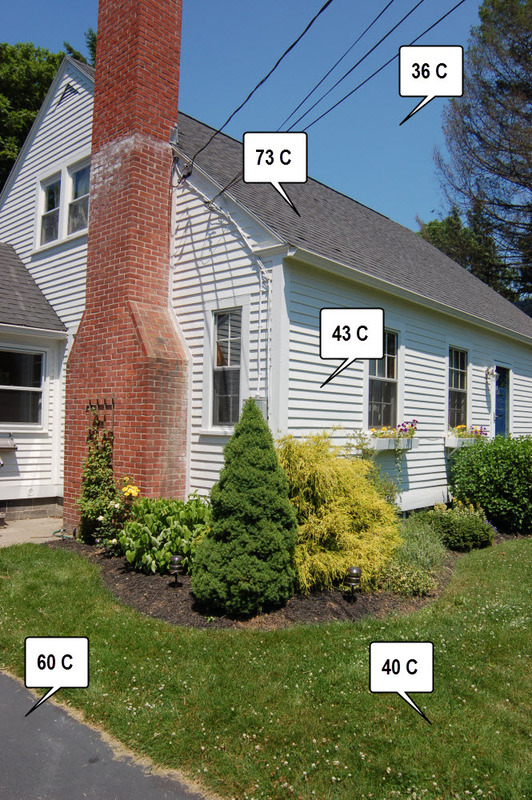 With the record-breaking heat wave we’re experiencing on the East Coast, it was interesting to look at the exterior of our house with an infrared thermometer. The image above lists the results (in Celsius because I prefer metric when it comes to temperatures). As you can see, this illustrates nicely the benefits of white surfaces and green vegetation for reducing surface temperatures.